I didn’t always know how to rub the lamp right. I remember myself on my birthday, every year, making lists of what I wanted the next year to be like. For many years, nothing happened. 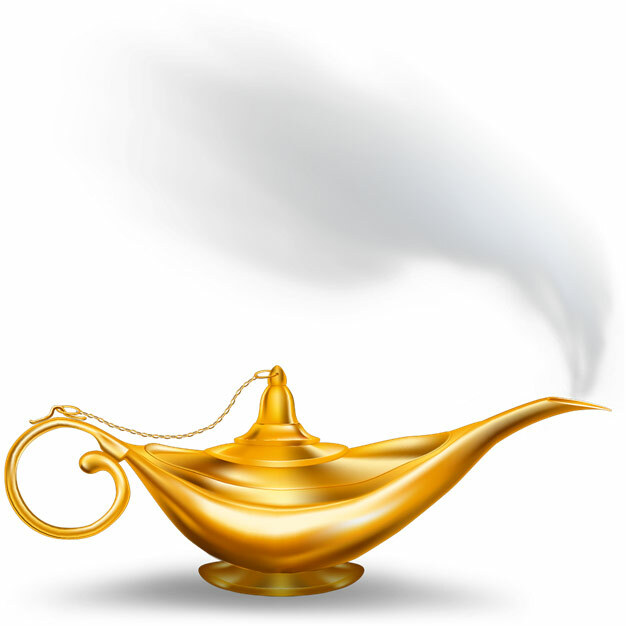 At the age of 16, I learned that I had been rubbing the lamp the wrong way and that my genie wanted to be rubbed differently. From that point on, I suddenly felt kind of lucky. Things seemed to flow. I felt happy, successful and protected, as if my genie would take care of me, as long as I took care of him, the right way. Here are some of the rules for making good everyday resolutions so your genie will grant your wishes. Resolutions are not like wishes. Everyone has a place in their brain where they store things that are going to happen “one day”. Set your goals in the now. If you set goals like, “one day I will travel the world”, it’s going straight to the rubbish bin where your genie can ignore it forever. Set your goals for the next three or so months (maximum six month). Genies can be a bit short sighted. They can’t see that far ahead and stay focused for that long. Stick to having only three goals at any given time. Genies can be very distractible. They can’t focus on too many things a the same time. Goals require self-regulation and no genie can regulate so many things at the same time. Do not blame or justify anyone for not achieving your goals. As soon as you blame or justify, your genie thinks he is off the hook and will stop striving towards your goal. Let go of the person you are for the person you want to be. 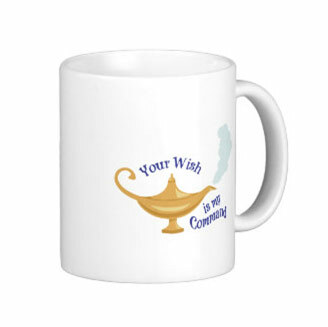 Use your genie to help you design a new you and follow it. Do not be distracted. Just because it is hard does not mean you need to let it go. If it is hard, make your genie work harder by having a better vision of the person you are aiming to be. Put your goals in a visible place so you and your genie will be able to see them every day, twice a day. Genies are like kids, they like to play and don’t like hard work. They need constant reminders of their goal and they need to be reminded every day, twice a day that this is what they need to focus on. 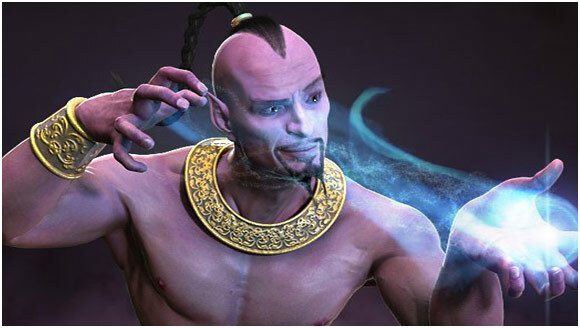 It is believed that for the first 21 days, the genie will try to ignore it but after reminders twice a day for over 21 days, the genie will be convinced you are serious about your goals. Genies like rewards (like their owners) so whenever you have a small success, say “thank you!”. Be appreciative and reward yourself. Even genies need incentives to keep trying. Have deadlines for every goal. If you don’t give your genie a time frame to do their job, he may decide to take a vacation because he thinks he has all the time in the world to make your goal come true. Avoid changing the time frame just because you didn’t achieved your goal. If you haven’t achieved your goal, it usually means you haven’t rubbed your genie the right way. Change the goal a bit and try again. Encourage your genie to use the resources you already have. Skills, friends, knowledge, books, and the internet are resources that can be used to achieve what you want. Resources you already have make the journey towards your goal faster. Remember, every day is a good day to start your everyday resolutions. When my clients come to me, they don’t always have a birthday and it’s usually not New Year’s Eve. They write goals every day, and if they rub their genie the right way, they always (yes, always) get what they want.